This year, for the first time, Cancer Research UK is inviting everyone in the area – women, men and children - to join the Race for Life. These events are for people of all ages and abilities taking place at Westpoint Exeter on 20th-21st July 2019. 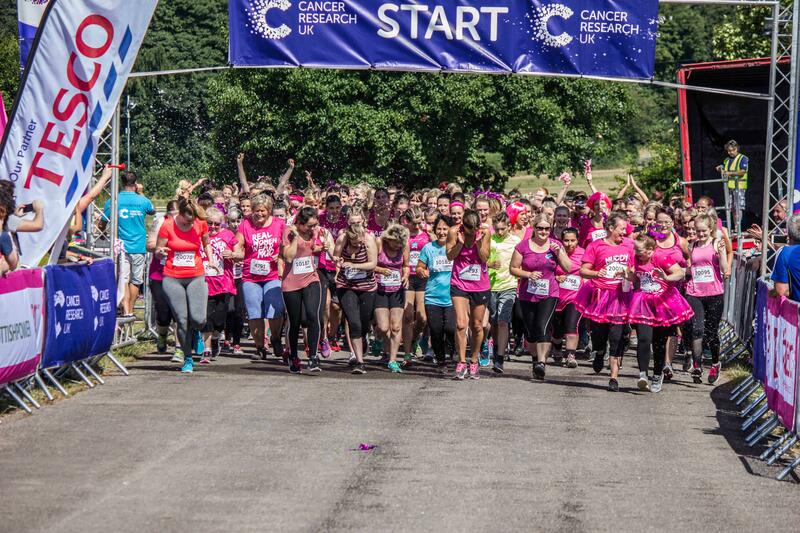 Race for Life Pretty Muddy is Cancer Research UK's brilliant 5k muddy obstacle course and is taking place at Westpoint Exeter on Saturday 20th July 2019. Scramble over the A-frame. Crawl through the mud pit. Have fun with your friends and raise valuable funds for life-saving research. Pretty Muddy isn’t like any other fundraising event. It’s a muddy obstacle course that everyone, no matter their ability, can take part in! Pretty Muddy events are in waves, each startinh 15 minutes apart to make sure everyone on the course is safe. If you enter as a group, make sure you all enter the same wave as you cannot move waves once you’ve signed up. A Race for Life 5k takes about an hour to complete, and the 10k most people taking part will finish within two hours, but remember - Race for Life events are non-competitive, so you can take as long as you like, there's absolutely no pressure to finish in a certain time. It's about uniting in the fight against cancer - no matter what your pace. One of the best ways to have fun and raise money for Race for Life is to get together as a group. If you'd like to take part with a group of friends and family then we have all the information you need. Vicki Turner, Cancer Research UK’s Exeter Event Manager, said: “Our Race for Life events are fun, colourful, emotional and uplifting. They help people with cancer by raising money for research, including clinical trials which give patients in Devon access to the latest treatments.